Our next meetup has not been scheduled yet. Please check back here for an update soon. It's Hacktoberfest 2018! Let's celebrate open source over food, drinks, learning, and great company! This event took place on November 8, 2018. 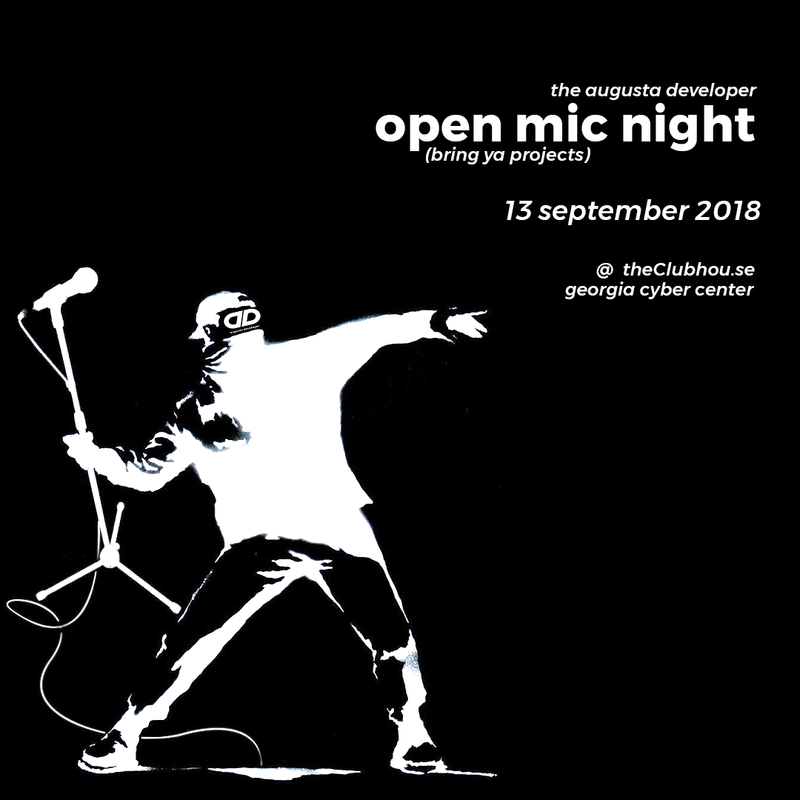 For the fifth meetup of the Augusta Developer is going to be an open mic style meetup where developers can grab the stage and show off their projects. This event took place on September 13, 2018. For the Fourth meetup of the Augusta Developer, we are having talks about the intersection of design and development. It will be interesting to learn and bring together creatives from both sides of the table to talk about constraints, intentions, tools, and most of all a passion for building cool stuff. This event took place on August 9 2018. Let's talk work flow automation and build tools! This month, we are going to have four speakers present on automating developer processes, DevOps, and IT responsibilities. This event took place on July 12, 2018. In this second meetup of the Augusta Developer, Lucy will have a lightning talk on the subject of Chaos Monkey. You can Google it if you want. But its going to be awesome. Ocozzio will provide food. Leave your house and hang out with developers! This event took place on June 7, 2018. Schuster Braun has taken the helm of organizing a new gathering for the web developing community. The first meeting will be at theClubhou.se on May 3rd from 6-8pm. Step up and help steer the direction of web development in the Augusta area. See you then! This event took place on May 3, 2018.